131 Marlborough is located on the north side of Marlborough, between Clarendon and Dartmouth, with 129 Marlborough to the east and 133 Marlborough to the west. 131 Marlborough was designed by Peabody and Stearns, architects, and built in 1879-1880 by Weston & Shepard, builders, for Charles William Freeland, one of seven contiguous houses (121-123-125-127-129-131-133 Marlborough) built for him between 1877 and 1880, all in the same design and built for speculative sale. The original permit application for 131 Marlborough was dated March 1, 1880. Click here for an index to the deeds for 131 Marlborough. On July 2, 1883, 131 Marlborough was purchased from Charles Freeland by dry goods merchant Henry Endicott. He and his wife, Mary Hubbard (Howe) Endicott, made it their home. They previously had lived at 136 Newbury. During the 1885-1886 winter season, the Endicotts were living elsewhere and 131 Marlborough was the home of leather dealer Thomas Owen Richardson and his wife, Mary Rich (Baker) Richardson. They had married in June of 1885. Before their marriage, he had lived at 319 Dartmouth and she had lived at 152 Commonwealth with her mother, Ellen M. (Whittemore) Baker, the widow of shipping merchant Richard Baker, Jr.). 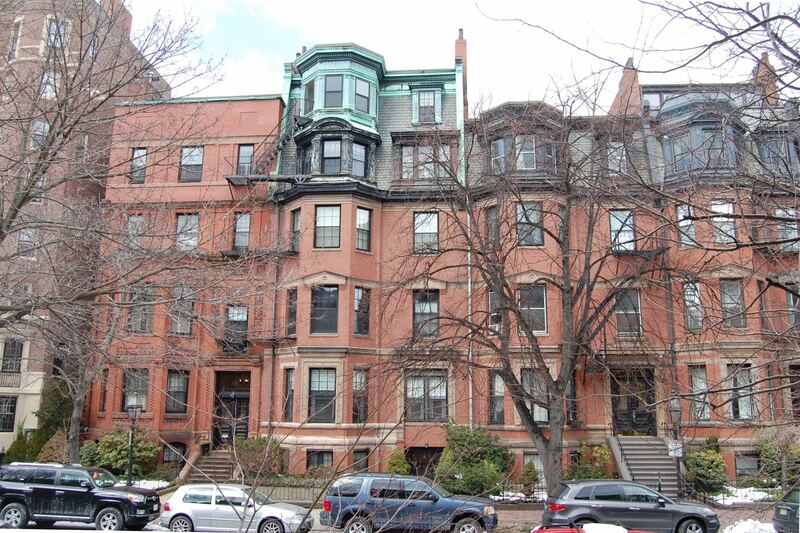 By the 1886-1887 winter season, they had moved to 265 Commonwealth, which had been purchased for them by the estate of Richard Baker, and 131 Marlborough was once again the Endicotts’ home. During the 1900-1901 winter season, the Endicotts again were living elsewhere at 131 Marlborough was the home of Charles Albert Read, Jr., and his wife, Ellen Arvilla (Hatfield) Read. Their principal residence was in Manchester. By the 1901-1902 winter season, the Reads had moved to 431 Marlborough and 131 Marlborough was once again the Endicotts’ home. Their five children lived with them: Augusta Rantoul Endicott, Henry Endicott, Jr., Thorndike Howe Endicott, Laurence Endicott, and Marian Dudley Endicott. Henry Endicott, Jr., a lawyer, married in October of 1907 to Katharine Sears. After their marriage, they lived in Newton and later in Weston. Laurence Endicott, a salesman, moved to Seattle in about 1910. Marian Endicott married in September of 1911 to Dr. George Plummer Howe, a physician and arctic explorer. 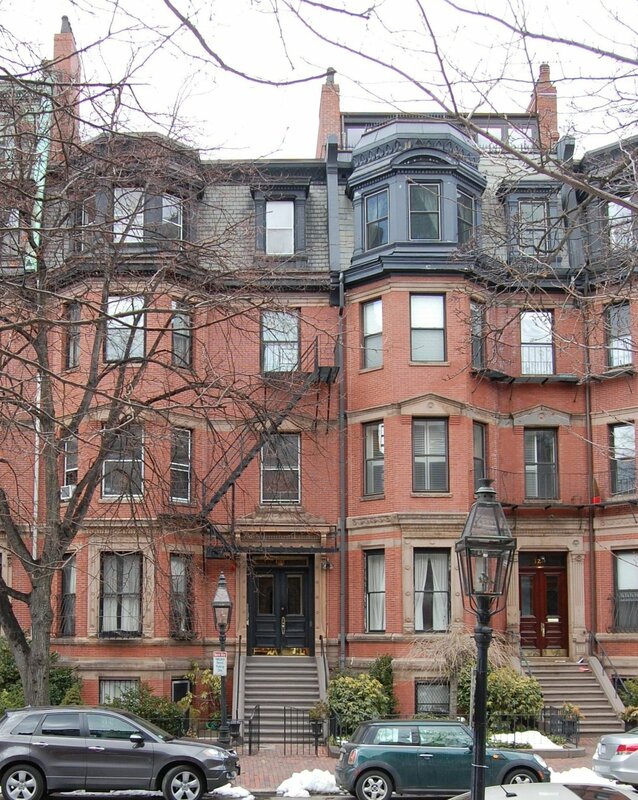 After their marriage, they moved to an apartment at 384 Commonwealth (George Howe was Marian Endicott’s first cousin, the son of Mary (Howe) Endicott’s brother, Octavius Thorndike Howe). Henry Endicott died in December of 1912. Mary Endicott continued to live at 131 Marlborough; Augusta Endicott and Thorndike Endicott, a purchasing agent for the engineering firm of Stone and Webster, lived with her. By the 1913-1914 winter season, they were joined by Henry and Katharine (Sears) Endicott. They had been living at 250 Commonwealth with Katharine Endicott’s parents, Francis B. Sears and Mary Elizabeth (Sparhawk) Sears. The Endicotts also maintained a home in Weston. In about 1915, 131 Marlborough became Henry and Katharine Endicott’s home. Mary Endicott and Augusta Endicott moved to Colorado Springs; they were joined there by Marian (Endicott) Howe after George Howe was killed in action in September of 1917. Thornton Endicott also moved and by April of 1917 was serving in the Ambulance Corps in France. Katharine Endicott’s father, Francis Sears, died in July of 1914, and the Endicotts spent the 1914-1915 and 1915-1916 winter season at 250 Commonwealth with her mother. 131 Marlborough was not listed in the 1915 and 1916 Blue Books. On November 12, 1918, Mary (Howe) Endicott transferred 131 Marlborough to Katharine Endicott, and on April 10, 1925, she transferred the property to herself and her husband. Henry and Katharine Endicott also continued to maintain a home in Weston. In 1930 and 1931, the Blue Books listed their summer home as Manchester, but by 1932 it was once again indicated as Weston. 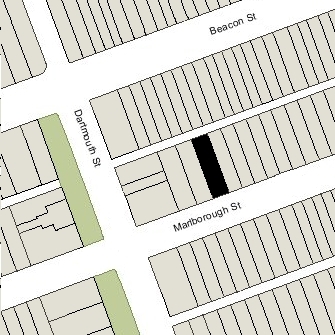 The Endicotts continued to live at 131 Marlborough in 1955, but had moved to 193 Marlborough by 1956. On December 9, 1955, 131 Marlborough was purchased from Henry and Katharine Endicott by real estate dealers Stuart H. Hastings and Joseph A. Gautreau. In January of 1956, Stuart Hastings filed for (and subsequently received) permission to convert the property from a single-family dwelling into ten apartments. The property subsequently changed hands and on March 1, 1979, was purchased by Malcolm MacPhail, trustee of the 131 Marlborough Realty Trust. 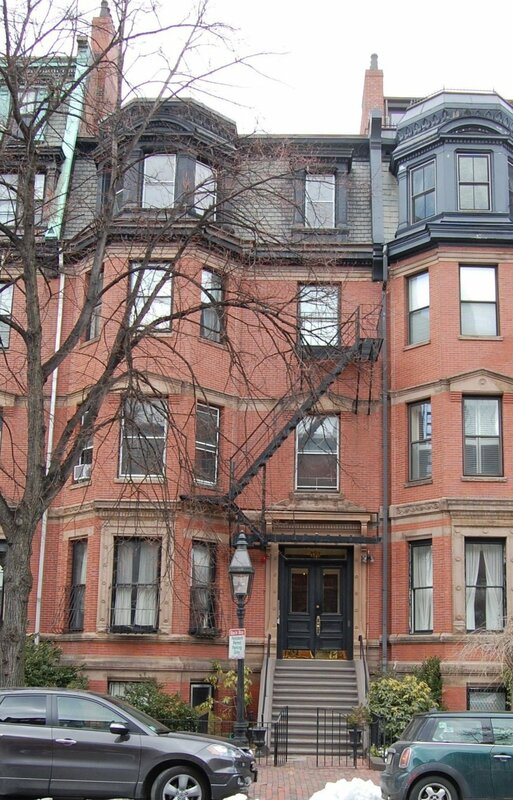 On June 8, 1979, he converted the property into seven condominium units, the 131 Marlborough Street Condominium.